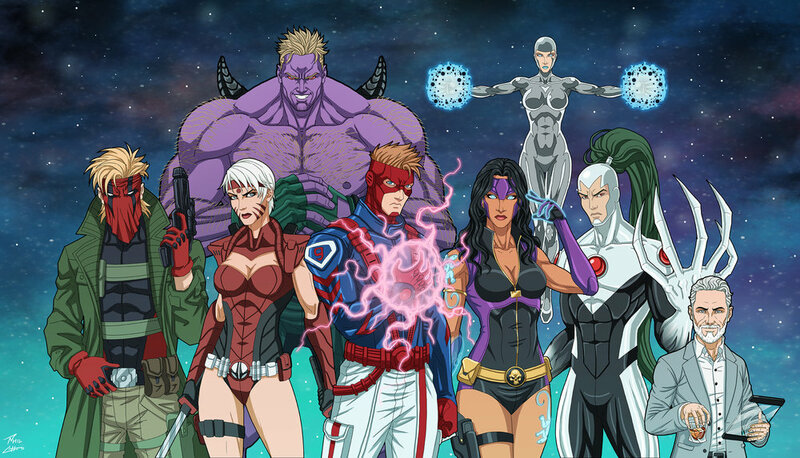 Wild C.A.T.s: Grifter, Zealot, Maul, Spartan, Voodoo, Void, Warblade, and Jacob Marlowe. Assembled using portraits from Roysovitch's Earth-27 project. Characters belong to DC Comics.